I was lucky enough to get selected to review Dr. Preetham Grandhi's book through a book blogging hook up. I can honestly say that this is one of the best books I have ever read. It was a great psychological thriller with amazingly in depth characters, and a great plot line. What I liked most about this book is that it really delved into the thoughts, emotions , and past doings of several of the characters. So not only is the story line progressing but you are learning more and more about the main characters. The other part of Circle that I loved was that I felt the book was leading me to think the killer was one person and it was totally not and it made the end of the book a huge surprise. 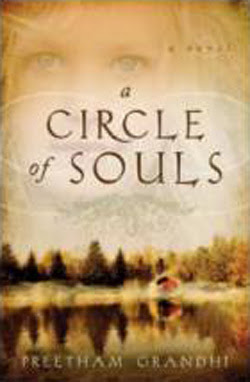 Again, Circle of Souls is one of the best books I have read in a very long time!! Teaser Tuesdays is a weekly book meme hosted by Should Be Reading. Instructions: Grab your current read. Open to a random page, and share two (2) "teaser" sentences from somewhere on that page, but be sure not to include any spoilers! Make sure you also include your book's title and author. To Rescue a Rogue was my delve back into the world of Romance. I haven't read a Romance novel since I was about 17 so I was skeptical, but I picked this up while on vacation from there leave a book take a book stash. I was instantly hooked. In this story line, apparently a continuation of a long series of books about a group of men called the Rogues and their interactions with their various spouses. This story was about Mara a young lady spending time in London. Here she meets up with her brother's friend Dare (one of the Rogues) and he helps her out of a very sticky situation, the type you can only get into in 1800's London. As the story progresses you discover that Dare has been wounded in Waterloo and is currently battling to overcome an Opium addiction. Intertwined in the this love story is a bit of drama plus the intertwining of the other Rogues from the previous series books. What I liked most about this book was that it was different from the Romance books I read in the past, this was more about the story versus burning loins. Now don't get me wrong, there is always a time and a place for burning loins, but it was a great story. One of the other aspects that I liked most was that I felt the books was very historically accurate for the time and I loved looking at London through the eyes of 18 year old Mara. I found this historical novel to be very, very interesting. It was chosen for my book group but I am starting to get nervous that they will not have liked it as much as I did. Being that I am a history teacher I loved the fact that most of this novel was based on research by the author and told like a biography. I think that some people will find this style of book off putting. The book tells the tail of a Zookeeper and his family who live in Warsaw at the start of WWII. The story tells the tail of this family (primarily the zookeeper's wife) during the Nazi occupation of Warsaw. The book tells the tale of what happened to the Jewish population of Warsaw, life in the Warsaw ghetto, and how the zookeeper's family helped as many people as possible. It was a great look into not only what life was like in Warsaw during the Nazi occupation, but what life was like for a family (particularly a housewife) during this era. For me what I liked was the historical aspect of the book. I loved the first hand accounts of what life was like in the city during the war and what it was like for the Jews living in Warsaw during the occupation, reassignment to the ghetto, and eventual liquidation of the ghetto. More importantly the aspect that I loved about this book was it showed how average people did above average things to help the Jewish community during WWII. Everyone has heard of people the Schindler who saved thousands, but you never hear about all those who helped three or four people along the way. This book showed how one family made a difference for several people and risked their lives in the process. Not only is it a great historical piece, it also a great psychological piece in that it looks at the human condition and the desire to help others versus our desire to protect ourselves. For those who love historical books this is a must read. I give the book **** according the the J. Kaye scale. This review brings with it great excitement-This is my first review for a company (FSB Associates). So this was a big deal to get this book in the mail and I couldn't wait to start reading it. In this story the main character Romona has been living a very sheltered and sad life when she runs into Mr. Columbus who will soon be her husband. Throughout the book Romona is busy keeping parts of her life a secret. Those secrets range for parts of her abusive homelife growing up, to her intimate relationship with her husband, to in general lying about every part of her life. 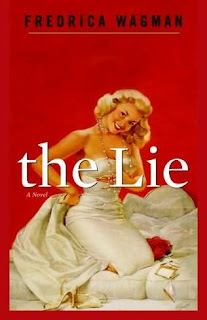 She is so caught up in this life of lies that she has a hard time telling the truth and lives a very sad life. There is a great twist at the end that I won't reveal here (don't want to spoil it). At first the book took a bit of getting used to. The Author uses a very descriptive writing style that I find makes it hard to get engrossed in the book (others swear that this helps with get engrossed into a book). Very early on you feel attached to the main character Romona and are in you heart hoping that she begins to realize that the life of lies she has created is killing any chance at her happiness. When the twist at the end does come you it takes your breath away. To me this book had that great quality of getting you to care about a character and still keeping you guessing until the very end. Although this book might not be for everyone, I feel that is it was a great short, but intense read.